The beta cell protein tetraspanin 7 is a target of autoantibodies in individuals with type 1 diabetes. The aim of this study was to identify autoantibody epitope-containing regions and key residues for autoantibody binding. Autoantibody epitope regions were identified by immunoprecipitation of luciferase-tagged single or multiple tetraspanin 7 domains using tetraspanin 7 antibody-positive sera. Subsequently, amino acids (AAs) relevant for autoantibody binding were identified by single AA mutations. In tetraspanin 7 antibody-positive sera, antibody binding was most frequent to tetraspanin 7 proteins that contained the NH2-terminal cytoplasmic domain 1 (C1; up to 39%) or COOH-terminal C3 (up to 22%). Binding to C3 was more frequent when the domain was expressed along with the flanking transmembrane domain, suggesting that conformation is likely to be important. Binding to external domains was not observed. Single AA mutations of C3 identified residues Y246, E247 and R239 as critical for COOH-terminal binding of 9/10, 10/10 and 8/10 sera tested, respectively. Mutation of cysteines adjacent to the transmembrane domain at either residues C235 or C236 resulted in both decreased (8/178 and 15/178 individuals, respectively; >twofold decrease) and increased (30/178 and 13/178 individuals, respectively; >twofold increase) binding in participant sera vs wild-type protein. 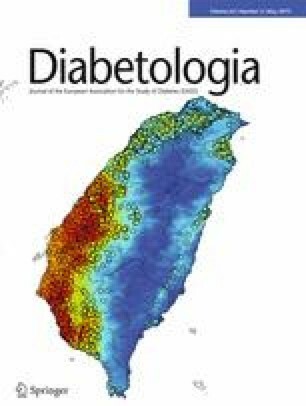 We hypothesise that conformation and, potentially, modification of protein terminal ends of tetraspanin 7 may be important for autoantibody binding in type 1 diabetes. EB and AGZ designed the study, contributed to the conduct of the study, the acquisition, analysis and interpretation of data, and drafted, reviewed and approved the manuscript. AE, GK, VL, DM and MJ contributed to the acquisition, analysis and interpretation of data, and drafted, reviewed and approved the manuscript. EB is the guarantor of this work. This work was funded by the JDRF (2-SRA-2015-13-Q-R) and the DFG FZ 111. Funding agencies had no role in the design of the study or interpretation of the results.